This highly accessible, engagingly written book exposes the underbelly of California’s Silicon Valley, the most successful high-technology region in the world, in a vivid ethnographic study of Mexican immigrants employed in Silicon Valley’s low-wage jobs. Christian Zlolniski’s on-the-ground investigation demonstrates how global forces have incorporated these workers as an integral part of the economy through subcontracting and other flexible labor practices and explores how these labor practices have in turn affected working conditions and workers’ daily lives. In Zlolniski’s analysis, these immigrants do not emerge merely as victims of a harsh economy; despite the obstacles they face, they are transforming labor and community politics, infusing new blood into labor unions, and challenging exclusionary notions of civic and political membership. 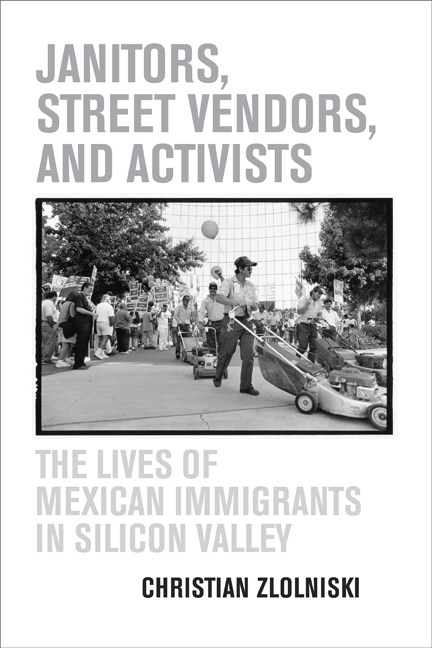 This richly textured and complex portrait of one community opens a window onto the future of Mexican and other Latino immigrants in the new U.S. economy. Christian Zlolniski is Assistant Professor in Anthropology and in the Center for Mexican American Studies at the University of Texas at Arlington.